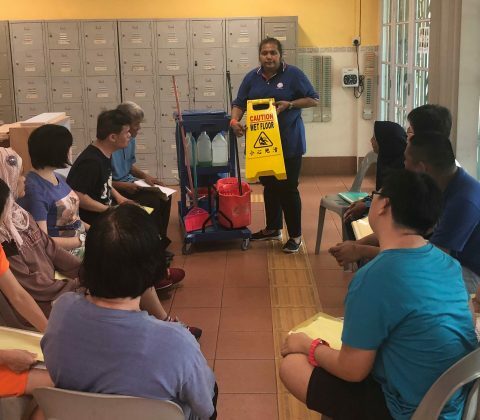 The Society of Moral Charities (Visually Handicapped), SOMC (VH), is a sheltered workshop that provides persons with visual impairment a means to be gainfully employed and was started in October 2005. 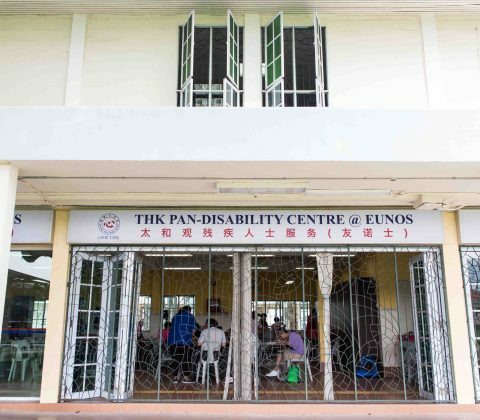 The Centre, now known as THK Pan-Disability Centre @ Eunos, has since moved towards pan-disability and currently has clients with various /multiple disabilities, such as, hearing impairment, intellectual and multiple disabilities. 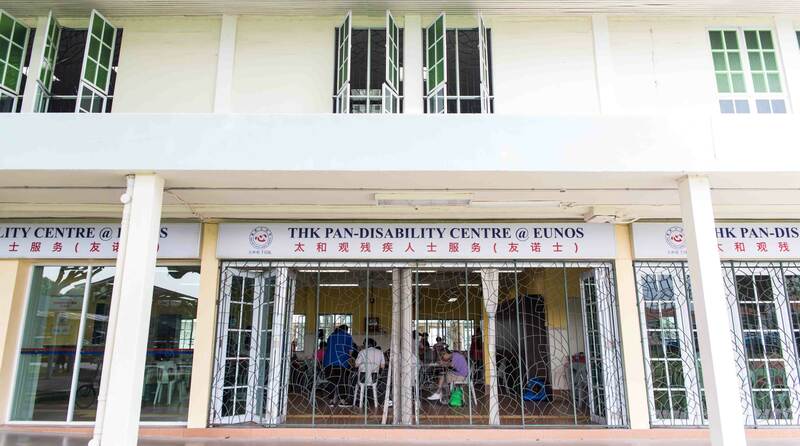 THK Pan-Disability Centre @ Eunos envisions a Singapore where persons with disabilities are integrated into the workforce. We do this by getting our clients jobs. 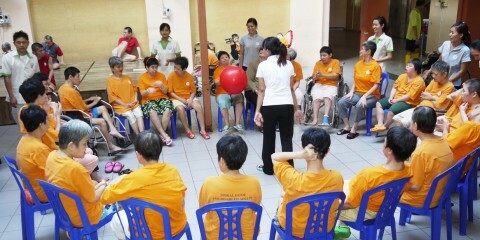 Clients receive pre-vocational training such as social skills and environmental cleaning. Suitable clients are offered either an internal or open employment opportunity and will have a coach to support him/her on-site and facilitate active integration into the workforce. Clients will be taught specialized woodworking skills with hand tools to construct wooden items under supervision. This niche programme caters to clients who show aptitude and interest in handicrafts. Clients work on basic pre-vocational skills such as attention span to help them transit into a sheltered workshop environment. 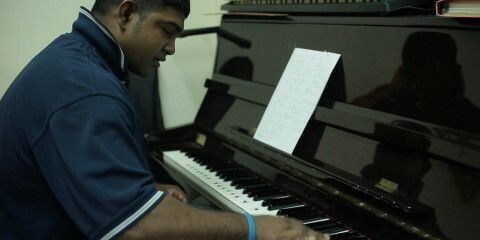 They develop skills to complete basic manual contract work. 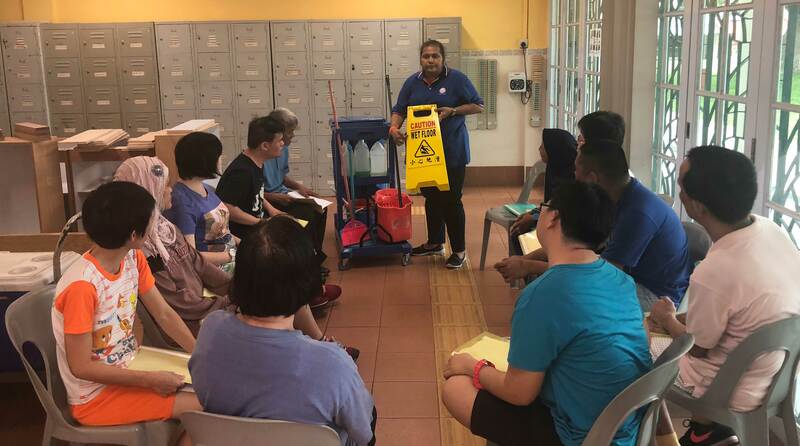 We aim to meet the manpower needs of SMEs for housekeepers and service crews by recommending persons with disabilities who have completed their basic training. Our job coach will conduct on-site training and follow our clients to help them cope with the new role. 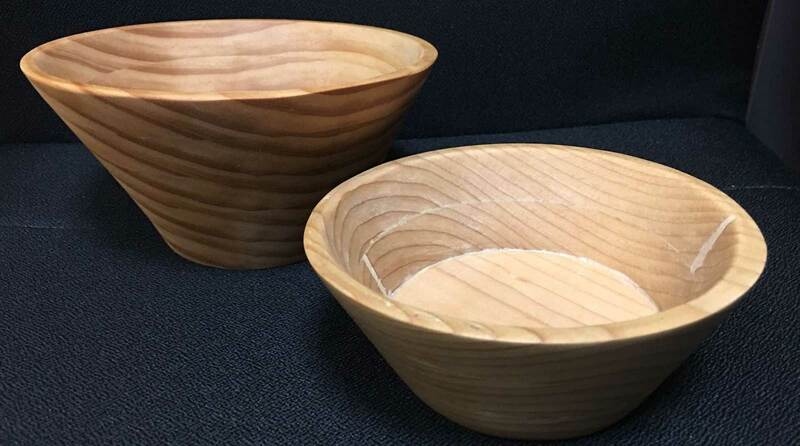 The Centre sells woodwork products handcrafted by our clients. The proceeds will enable our clients to remain productive and have a source of income. 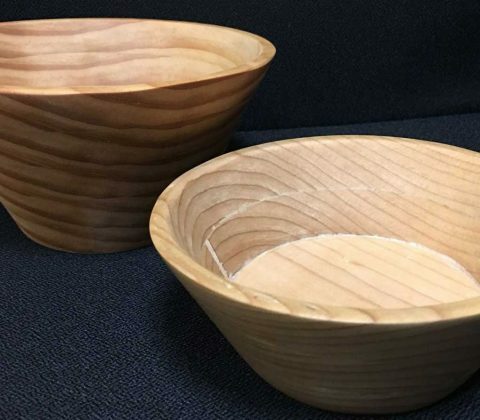 We also accept commissions for woodworking projects. Please contact us for further discussion. We can help with tedious manual work such as stuffing envelopes with letters, packing of goodie bags for a reasonable fee.